With graduation season upon us I thought I would share with you one of my favorite writer’s commencement address. Anna Quindlen writes with heart and this address is a perfect example of her character and personality. It’s a great honor for me to be the third member of my family to receive an honorary doctorate from this great university. It’s an honor to follow my great-uncle Jim, who was a gifted physician, and my Uncle Jack, who is a remarkable businessman. Both of them could have told you something important about their professions, about medicine or commerce. I have no specialized field of interest or expertise, which puts me at a disadvantage, talking to you today. I’m a novelist. My work is human nature. Real life is all I know. Don’t ever confuse the two, your life and your work. The second is only part of the first. People don’t talk about the soul very much anymore. It’s so much easier to write a resume than to craft a spirit. But a resume is a cold comfort on a winter night, or when you’re sad, or broke, or lonely, or when you’ve gotten back the test results and they’re not so good. Get a life. A real life, not a manic pursuit of the next promotion, the bigger paycheck, the larger house. Do you think you’d care so very much about those things if you blew an aneurysm one afternoon, or found a lump in your breast? Get a life in which you notice the smell of salt water pushing itself on a breeze over Seaside Heights, a life in which you stop and watch how a red-tailed hawk circles over the water gap or the way a baby scowls with concentration when she tries to pick up a cheerio with her thumb and first finger. All of you want to do well. But if you do not do good, too, then doing well will never be enough. It is so easy to waste our lives: our days, our hours, our minutes. It is so easy to take for granted the color of the azaleas, the sheen of the limestone on Fifth Avenue, the color of our kid’s eyes, the way the melody in a symphony rises and falls and disappears and rises again. It is so easy to exist instead of live. I learned to live many years ago. Consider the lilies of the field. Look at the fuzz on a baby’s ear. Read in the backyard with the sun on your face. Learn to be happy. And think of life as a terminal illness because if you do you will live it with joy and passion, as it ought to be lived. And every day, in some little way, I try to do what he said. I try to look at the view. And that’s the last thing I have to tell you today, words of wisdom from a man with not a dime in his pocket, no place to go, nowhere to be. Look at the view. You’ll never be disappointed. I invite you to share a link to a post that you have written about an inspiriting woman in the comment section. One good turn deserves another. Your post this morning started my day with gratitude. 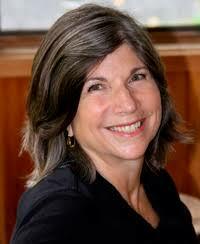 Bernadette, thank you for posting this extraordinary address by Anna Quindlen. I read it whilst breakfasting in the garden this morning and feel so very uplifted. Being so successful and yet seeing the importance of living life in real time. All the wonderful quotes. It has all reached my heart. To end with the quote by the homeless man really had me tear eyed. ” Look at the view, young lady, look at the view”. With such balance in life Anna can’t go much wrong. Anna writes with such heart. That was one lucky graduating class to have her as a speaker. What a wonderful speech Bernadette. I am with her on looking at the view. Thank you Brigid. Yes, it has been a very rough week – one that tries the soul. What a beautiful, inspiring speech. I wish I’d had such a moving speaker at my graduation, a million years ago. So much wisdom to take in. Words of wisdom to fill a lifetime filled with meaning , togetherness, and love. Oh, to recognize the importance of the view! Very inspiring speech. Thanks for sharing. With so much illness affecting our family these days I really needed to read this, Bernadette. Thank you.. I almost didn’t hit the like star because I know how very serious your family illness troubles are. I hope that you are able to lift your eyes from the day to day brutality of watching what illness does to a person and look at the beauty of the view. “Life happens while we are busy making other plans”…so true! My thoughts have been with you this week Bernadette especially on the 6th. What a peaceful joy filled memory to cherish. I love Anna Quindlan, and I love her advice, “Get a life…” It should resonate with all of us, overly busy people that we are! As usual, excellent post, Bernadette! Bernadette, thank you for your blog post.Really thank you! Awesome. 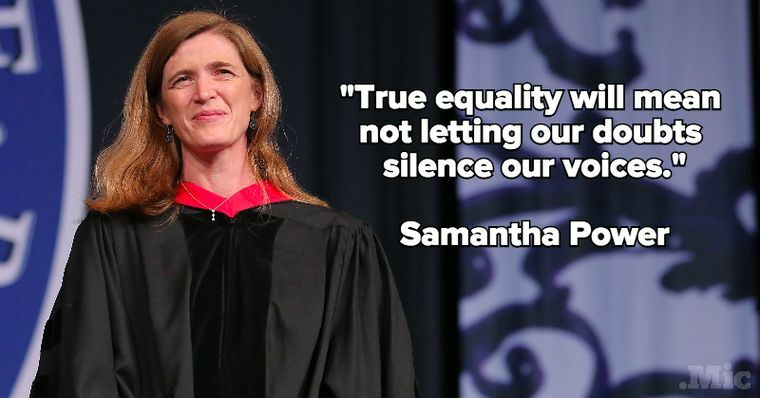 I enjoyed reading Anna Quinlan’s commencement address. Thank you my friend. Your introduction to Anna’s speech was lovely. Breath takingly beautiful words that brought a tear to my eye. Thank you so much for sharing this Bernadette. Life lessons that everyone needs to read and the ending was superb “look at the view”. It says it all. This speech explains why she is one of my favorite authors. Thanks for stopping by and taking the time to write. It was truly a pleasure. Imagine being there for this speech! I wonder if there was utter silence, or much sniffing, or were people jumping from their seats to phone their mothers and email their neglected friends. There surely must have been a lot of hugging afterwards.. and a standing ovation. It was a very true and moving speech. Thanks for taking the time to read and comment. I am still thinking about that speech days later! Thank you so much for sharing this inspiring speech, Bernadette. This is something every graduate needs to hear…actually, every adult, too! Thank you to Annika Perry for directing me to your blog. Thank you for taking the time to stop by. Any fan of Annika is a friend of mine. So happy Diana. She is one of my favorite authors. Well, present company is always excepted, of course. Oh what a beautiful inspiring speech to motive and inspire those taking their first steps out into the big wide world.. Many thanks.. I came over via Annika’s mention of your post… We could all of us use some of those uplifting words .. 🙂 Many thanks again Bernadette ..
Sue, very happy to meet you and thanks for taking the time to comment. Love Annika. Some words are timeless, aren’t they Pam. This is beautiful! So much here that rings so true, and so much to remind us to slow down and pay attention to the world around us. Thank you for sharing this! This post is a lovely reminder that we need to live and not just exist for work. It is easy to forget this and push all the important things in your life aside. Please check out my blog, I’m very new here and I’d love the encouragement.